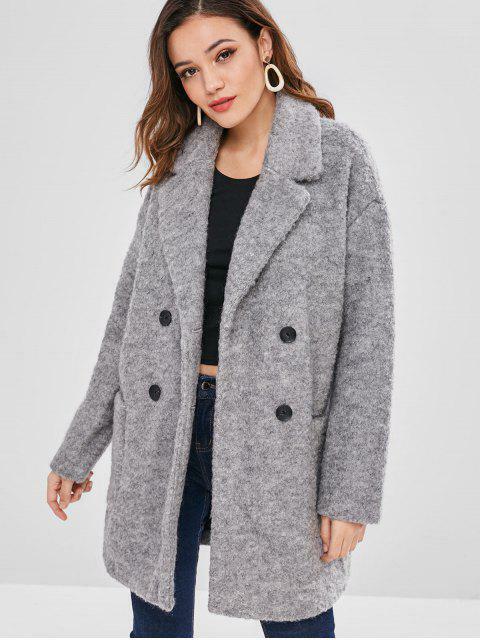 [49% OFF] 2019 Lapel Wool Blend Peacoat In LIGHT GRAY | ZAFUL .. 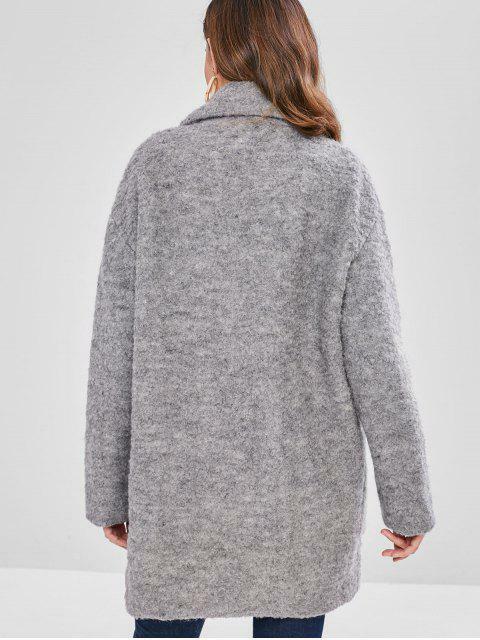 I like myself an oversize coat but I ordered a medium and I couldn't reach my hands outside the sleeves, they were extremely long, even if I sized down I imagine my hands still wouldn't stick out all. It wasn't the look I was going for. If you have longer arms it would probably fit fine, but I would definitely size down because of the sleeve length. Super cute Fits well Looks exaclty like the pictures Comfortable and of fantastic material. Super chic!